For avid golf fans and golfers in general hitting the links has become increasingly difficult, as the sport has gained popularity. Green Fees are at an all time high, memberships are pricey, tee times are difficult to secure on weekends, and obtaining serviceable equipment is an expensive task. Its all worth it though when you hit that first shot on the #1 tee as you zip and zoom from shot to shot and tee to green. You’re most likely with people who’s company you enjoy, you’re outdoors likely enjoying nice weather and as you make the turn you are elated that golf has afforded you the opportunity to relax after a hectic week. Playing is still a huge a commitment, and an expensive hobby, as carving out 6 hours of your day is not always a viable option especially if you have family. The game however is one you’ve grown to love, its competitive, relaxing, challenging and pits man against nature but more importantly, man against himself. Despite the barriers to playing this great sport, there is an alternative that still keeps you remarkably close to the game, while continuing to keep your competitive juices flowing while also being significantly gentler on your wallet. If actual golf is an activity that is difficult for you to engage in you must consider the benefits and overall value of playing Fantasy Golf. Fantasy golf is a game in which an individual enters into competition against other participants who each will assemble a team of real-life PGA golfers. Once a participant assembles their team, those player’s will accumulate points based on their performance in golf tournaments typically hosted by the PGA or European tours. There are multiple scoring formats and league sizes so those playing fantasy golf can choose which league they would most prefer to participate in. Traditionally a group of 4-6 professional golfers are selected for team play for an entire season based on an allotted budget to be spent by the participant. Value is assigned to a professional golfer based on prior year’s performance and its up to the fantasy golf participant to determine how much they want to pay to acquire a PGA golfer for their team. Fantasy golf players often derive more enjoyment from watching golf when the golfers they are watching are accumulating points with every successful shot, score and tournament victory. Golf is the simplest of fantasy games to play and leagues can determine success by stroke play in individual tournaments where the fewest strokes wins. Or they can track total earnings throughout the season, or tournament performance based on standings. The game is easy to enter into so pick your favorite golfers and sit back and enjoy. Leagues are set up either by tournament, where new teams are selected for every new tournament or by season where the players you draft are the same players you have for the entire season. Fantasy golf gamers are assigned a fixed salary cap number, usually around 50K and must compete against other participants in a bidding war to determine who is willing to pay more for a specific player. In some formats a golfer is allotted a certain value and bidding is not necessary, you just buy when it’s your turn to choose. In weekly leagues PGA golfers that are not participating in a respective tournament will not be available to be drafted. Roster size is determined by the size of the league that you’re participating in – 6 is usually a good number in a 10 man league. In a point scoring system, each of the 6 players on your team will score points on every hole they play. A typical format would score 20 points for a double eagle, 8 points for an eagle and negative points for bogeys, double bogeys incrementally moving up or down in points depending on who well your player does on a specific hole. On top of the per hole scoring points are awarded for where your team finishes in the tournament. For example a 1st place finish will net your team 30 points where as a 5th place finish will only net your team 16 points. On top of all that, points are often awarded for streaks such as multiple birdies in a row, bogey free rounds and having all four rounds under 70 strokes. 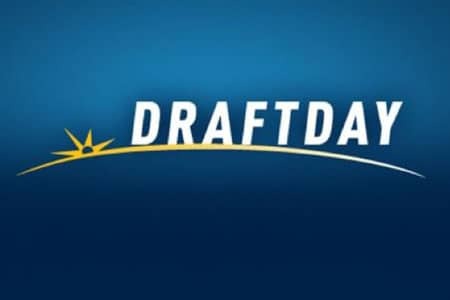 In weekly leagues sites such as DraftKings.com or StarsDraft who offer daily leagues for most sports host dozens of leagues per week. You have to pay to play, but if your team is successful you win cash back. It will make you think twice about over paying Sergio Garcia. It is ultra competitive and players on these sites because of the investments they have made know what they are doing. All the insight in the world however can predict how 6 golfers are going to do, especially if one or two miss the cut. A more mild mannered option would be to play fantasy golf on yahoo.com. You can create your own league, or join a public league. You compete based on points all season long but you get to pick a new foursome for every new tournament. These leagues are free, and you can get in a league with your friend and draw up the settings however your want. 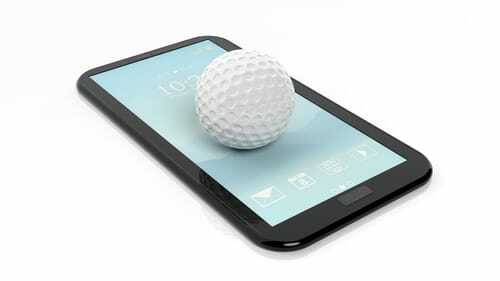 Fantasy golf is a gamers game, and requires little knowledge of the sport itself. Pick who you want and hope for the best, but most importantly remember how easy it is to enjoy the sport you love while maintaining your competitive edge. Crushing your friends has never been more fun.